Motorcyclists always go the extra mile for charity, especially when it comes to organising ride outs and fundraising events for their local schools, hospitals and children’s hospices. Easter is no different, so it’s time to find out what Easter Egg Runs are happening this April! Take part in the 30-40 mile round trip with the Black Shuck MCC for their annual Easter Egg Run. All is asked is that each bike brings an egg for donation with them, these will be transported in a vehicle en route. 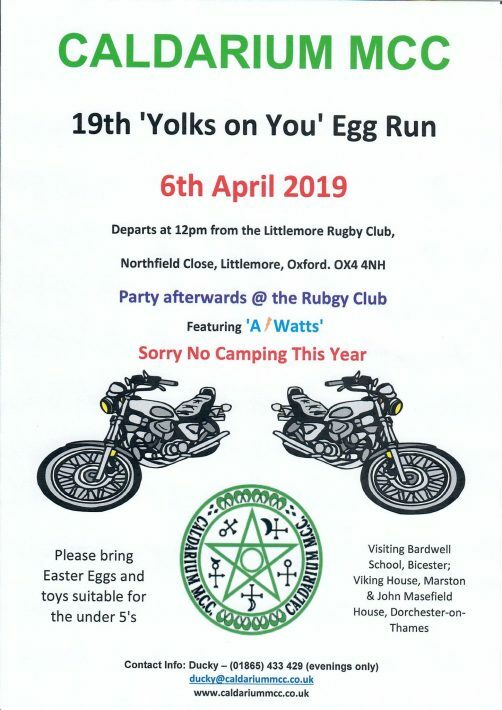 The ‘Yolks on You’ Egg Run is in its 19th year and it’s proved to be a popular event for both bikers and public alike! There’s 3 different stops en route to delivery Easter Eggs and toys to disadvantaged children and young adults. Afterwards, you’ll return to the local Rugby club for a BBQ and party! The Bunny Run is back! Don’t miss out on one of the most popular charity events in Cambridgeshire this Easter. Find out more information about how to get involved right here. 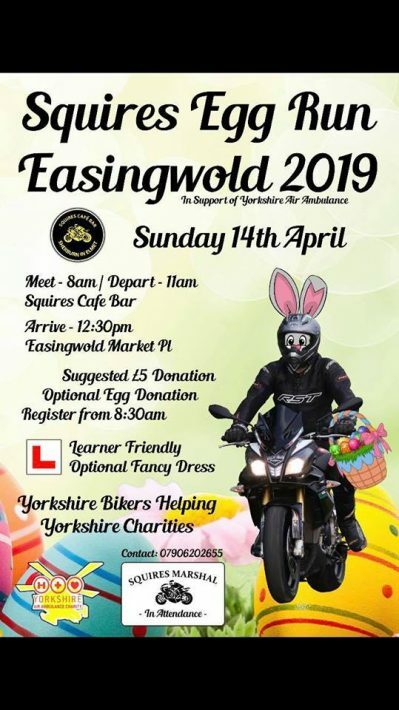 As always, Squires Cafe will be hosting their annual Egg Run, which always attracts hundreds of bikers from the surrounding areas. More information can be found via Squires Cafe Facebook page. 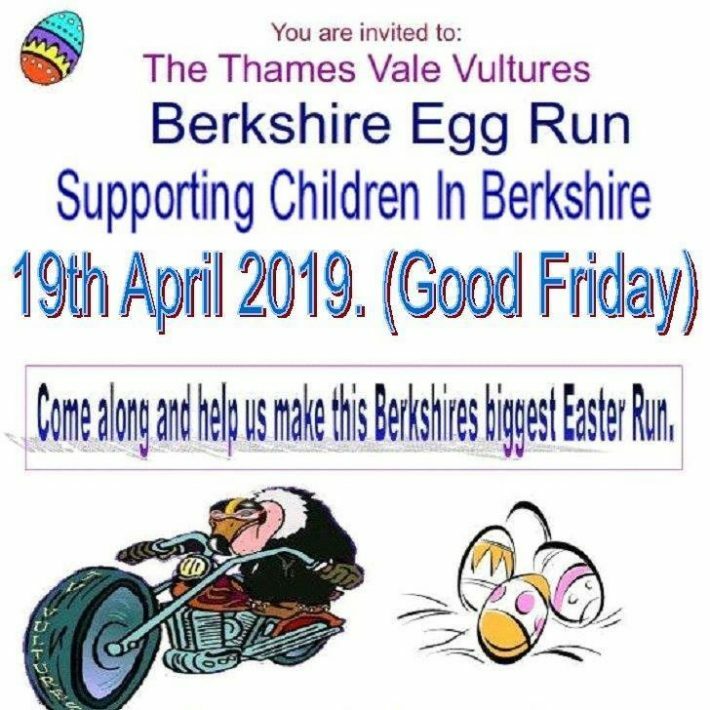 The Thames Valley Vultures organise the very popular Berkshire Egg Run. It’s a great day out for all bikers so don’t miss out and book your space today! Find out how to get involved with the Berkshire Egg Run right here! Organised by Moorlands and Widows Sons MBA, the Cornwall Egg Run is an extremely popular event. 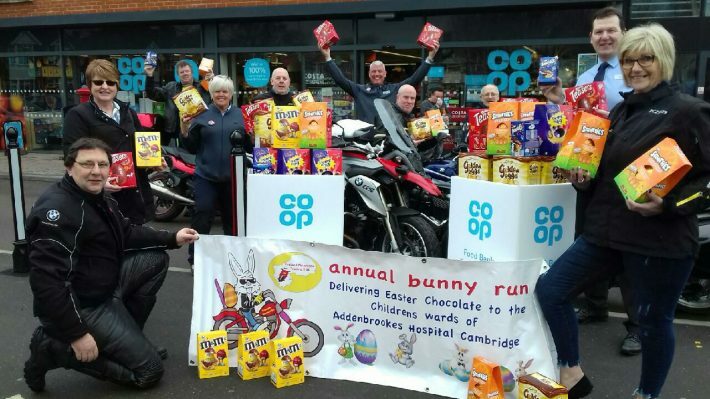 Riders have been taking part since 1997, donating money and Easter Eggs to children’s charities in Cornwall. In exchange for your donation, each rider receives a meal voucher for a free burger! There’s also a raffle and awards to be won for lots of different categories. You can find out more information about this event right here! 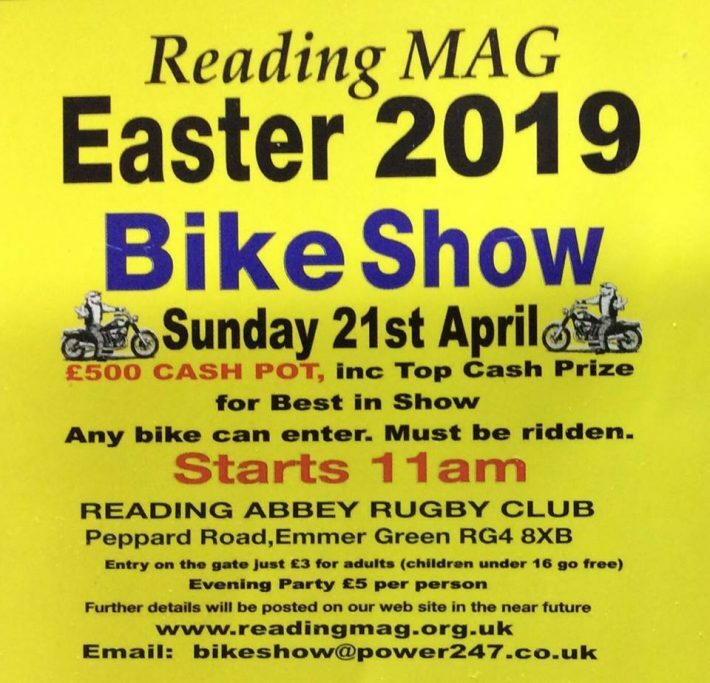 Not exactly an Egg Run, but the Reading MAG are hosting their Easter show! Always a great day out had by all bikers, make sure you book your place on the Egg Run today! Full information on how to take part right here! 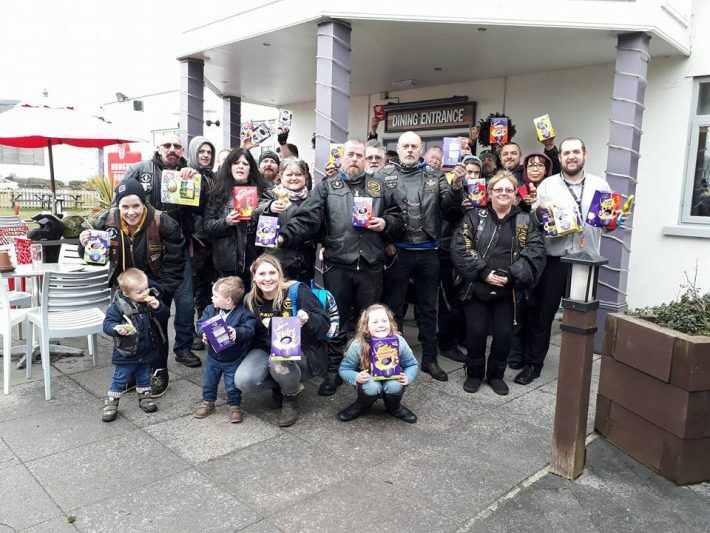 Are you taking part in an Egg Run this Easter? Let us know in the comments below!